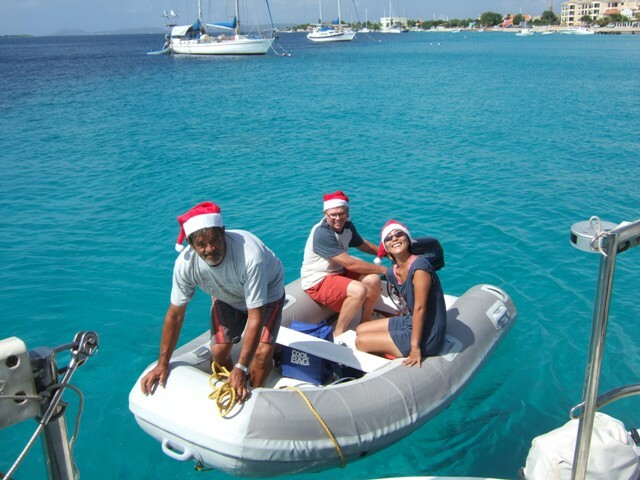 Aurora_b's Web Diary - Bonaire - Guilders and all that, and Christmas too! 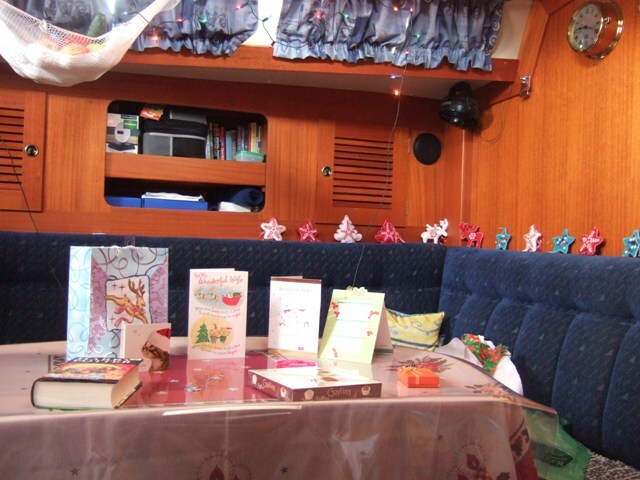 Title: Bonaire - Guilders and all that, and Christmas too! 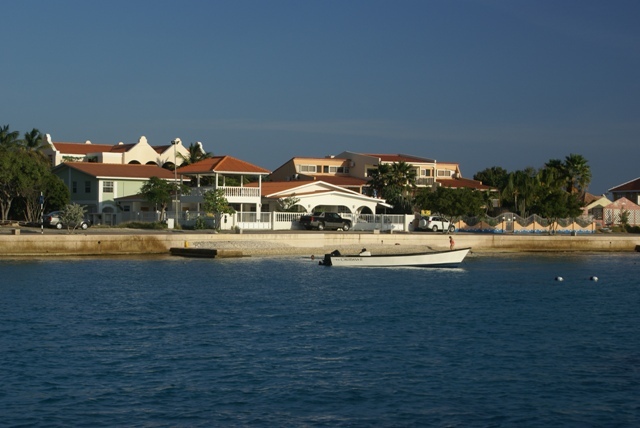 Bonaire is part of the Netherlands Antilles, with its sister islands of Curacao and Aruba. 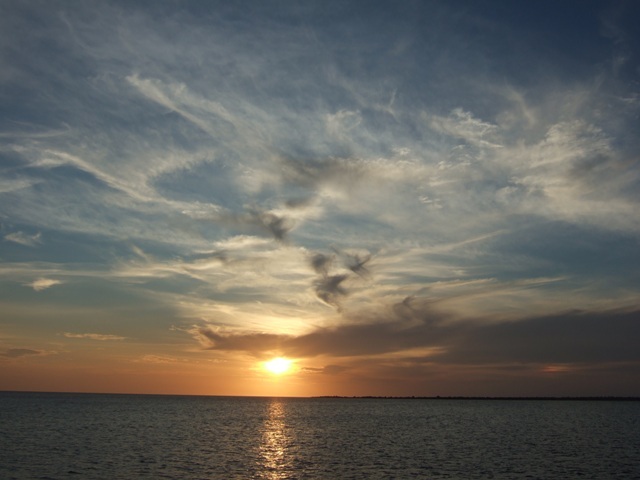 All together they are known as the ABC islands. The population of Bonaire is about 12,000 and the languages are Dutch, South American Spanish or the local Papiamentu (used in all the ABCs). The currency is the Netherlands Antilles' guilder or florin (NAf). It's pegged to the US dollar at 1.78NAf to the dollar. Dollars are taken, which is good as that's what we came with, but the change always comes in NAf. So we've swapped the TT dollar (approximately 10TT to the £1) for the US dollar/NAf combination. All the prices are labeled in NAf, but when you ask a price it tends to be given in US dollars - it can be confusing, so we have to think twice before we buy anything! 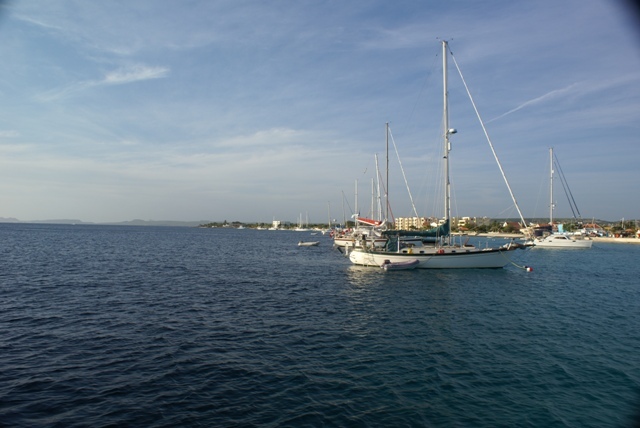 From what we've seen so far we like Bonaire, especially after Trinidad. It's small, clean, touristy, the buildings are all painted in lovely pastel colours and it hasn't rained since we arrived. It has a wonderful selection of waterfront and main street restaurants and the sea is some of the clearest in the Caribbean. 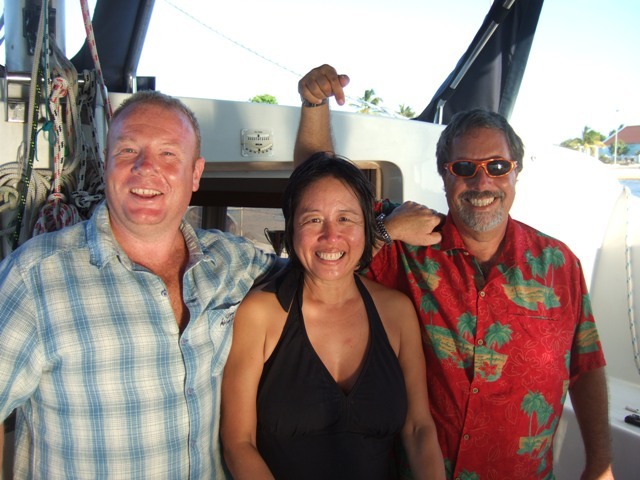 The reefs have been looked after for years and are in great shape, making it a diving mecca. To protect the reefs boats are not allowed to anchor anywhere round the island. They have installed about 40 buoys off Kralendijk, the capital, and these have to be used. They're on a narrow shelf of beautiful turquoise water, which disappears into the deep just where our stern swings. So we can see all sorts of fish from the boat. The buoys are only $10 US a night, so not too bad. 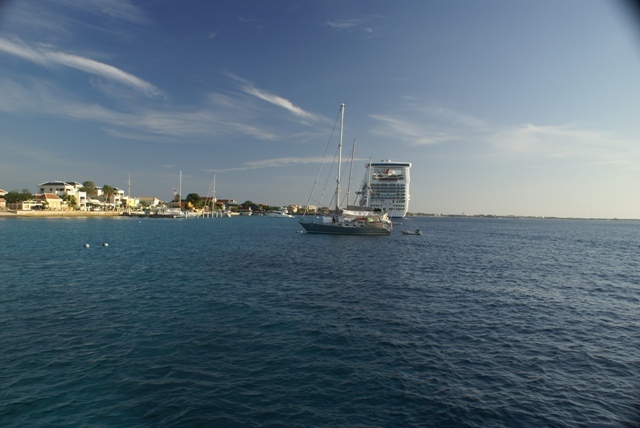 Bonaire's two main industries are salt and tourism (especially diving). They have large salt ponds at the south end of the island and we could see white 'mountains' as we came in. The salt ponds attract large flocks of flamingos. A lot of divers come here as the water and reefs are so good, and there are about 90 dive sites. The commercial pier can accommodate cruise ships and there has been a different one each day. They arrive about 9am and leave about 6pm the same day. So good news. The only issue now is whether to get it sent to Bonaire and risk having to wait for it, or get it sent to Panama. Looking ashore from our mooring. Looking along the moorings to the north. looking the other way, with a cruise ship against the pier. 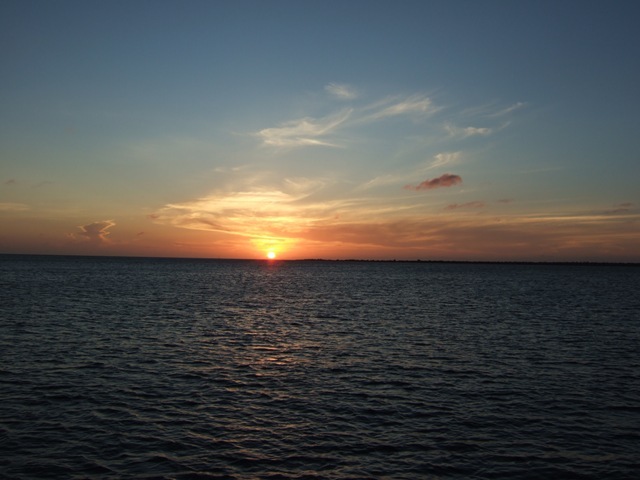 The moorings are on the west coast and the view to the west is clear, so lots of sunsets! We have some friends here, Mohea, Aphrodite and Indian Summer who all did the ARC with us (although we only met Indian Summer this week). We've also met Peter on Troutbridge (remember the Navy Lark?) who is an OCC member like us. We've talked to him over the net before, but never met until this week. 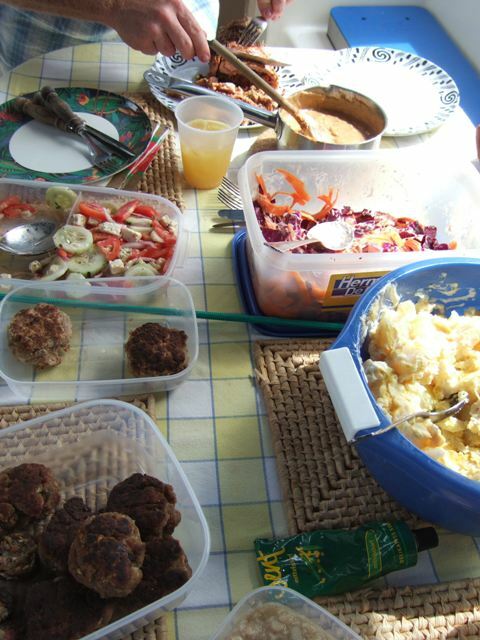 Troutbridge is a catamaran, so we were all invited to bring our food for a buffet Christmas lunch and Peter and crew supplied the rum punch - mixed in a (new) bucket! The crew of Mohea arriving on Troutbridge for Christmas lunch. Our hosts on Troutbridge - Simon, 'Doc' and skipper, Peter! Aurora B's Christmas decorations - we tried! 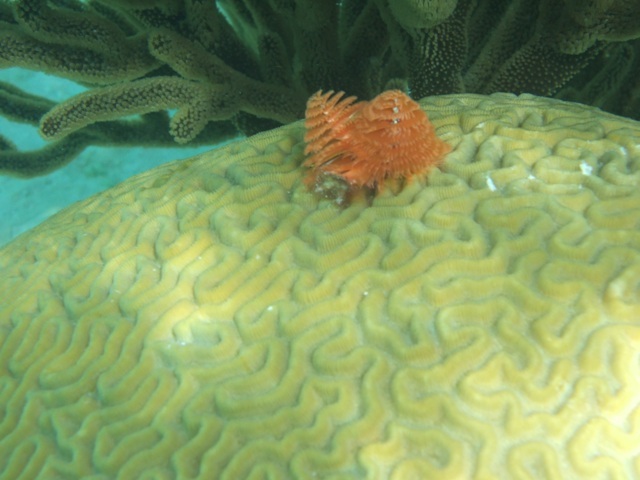 Christmas Tree worms on a brain coral - taken on a Boxing Day snorkel! 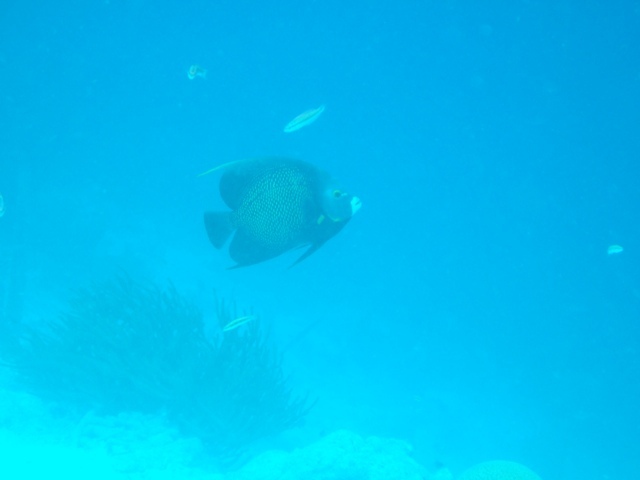 A French Angel Fish at a distance. There are lots of fish here and we hope to have better pictures before we leave.